A law to limit the liability of nuclear equipment makers in case of accident is a basic need to enter global nuclear trade, the ex-head of the Atomic Energy Commission (AEC) has said, adding that this was not something thrust upon India by the US. “Such a law is a basic need if one needs to enter the global nuclear trade. 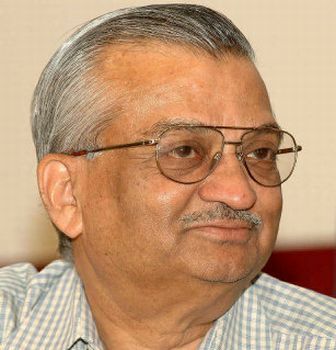 The Indian law is not thrust by the US as a part of the nuclear deal,” former AEC chairman Anil Kakodkar told reporters here Monday on the sidelines of the 20th annual conference of Indian Nuclear Society. The bill on this has been prepared and is expected to be taken up for discussion by parliament soon. But why haven’t Russia or France demanded that such a law be passed in India? “In the US the equipment manufacturers are in the private sector whereas in other countries they are either government owned or act like one,” Kakodkar replied. He said India is keen to join the Convention of Supplementary Compensation (CSC) and a law limiting the equipment manufacturers liability is necessary for that. The convention members will share the nuclear liability above a certain limit – sort of an insurance pool. “The payment of compensation by different parties will be different. Up to a certain sum the equipment maker will be liable and above that the respective government and the CSC members will share,” Kakodkar said. Asked about the hitch in going forward with the civil nuclear agreement with the US he replied: “Discussions are on with respect to the procedures for reprocessing of the spent fuel in the nuclear stations that come under the safeguards”.